We offer a variety of memberships to suit your creative needs. Find out how we can help you succeed in jewelry design. Please fill out our membership application. Upon approval, you will receive a password to purchase the appropriate membership and reserve your workshop space. Please see below for the different types of memberships we offer. Ideal for the designer who has an existing studio but would love to access our creative, collaborative, nurturing community, support, tools and services. Access to open studio ( $25.00 per 3 hour session ) All open studio sessions must be booked in advance. Use of studio work bench /flex shafts/ tools / wax injection/ wax pens. Special Introductory Membership Package available for a limited time! Includes Wax Carving Workshop with Continuing Limited Membership. Special Offer $250.00 Contact us to schedule. Learn the art of Wax carving, expand your horizons. With this intensive 3.0 hour workshop you will learn the basics of wax carving, the tools of the trade, design development and strategies. Six month Limited Access Membership ( including 2 free open studio sessions) that will allow you to continue to access the space during open studio hours and further explore your jewelry design aspirations. Designed for the jewelry Designer who needs studio access and casting services regularly. Discounted open studio ( $15.00 per 3 hour session ) All open studio sessions must be booked in advance. 10 session bulk open studio discount ( $125.00 ) Advanced payment only. 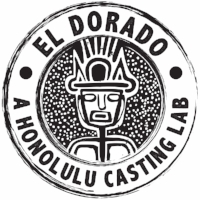 For the qualified member who wants to come in, create designs in a collaborative environment and or prep for casting, and go ! Additional open studio sessions ( $25 per 3 hour session) bulk rate applies. Perfect for the jewelry design entrepreneur who requires regular studio access, appreciates working in a collaborative environment and is consistently producing for inventory and or order fulfillment. $250 per month ( 6 month minimum commitment required) 10% advanced payment discount available. For the established jeweler who needs dedicated studio space but also wishes to tap into a collaborative environment. Private work space/Bench ( bench must be provided by member) space will be limited to standard jewelers bench size and immediate surrounding areas (2 foot buffer zone). Secured storage space for tools, and supplies. Full Access during open hours.